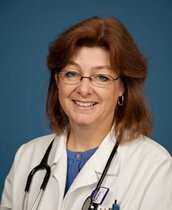 Hailing from Alabama, Dr. Farmer is a board certified physician who joined the FirstChoice Pediatrics family in 1996. She completed her undergraduate studies at Bryn Mawr College in Pennsylvania before receiving her MA in English from the University of Chicago. After receiving a Graduate Fellowship and completing coursework for a Ph.D. in English Literature from Duke University, she decided to attend medical school. Dr. Farmer obtained her medical degree from the University of North Carolina at Chapel Hill then relocated to East Tennessee to complete her residency in Pediatrics at ETSU. She is an American Academy of Pediatrics Fellow. Dr. Farmer has special interests in International Adoption. Dr. Farmer is married with three children.